The Shadow Chassis is a marvelously durable and modular robot platform from RobotZone. 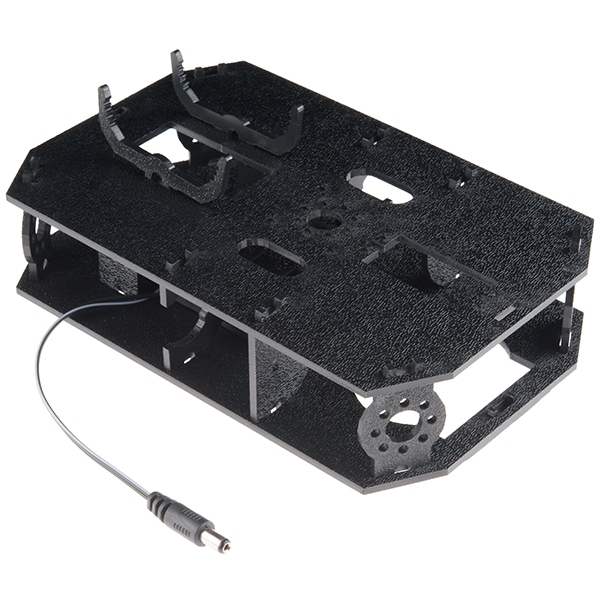 The chassis plates and mounts are cut from ABS plastic and utilize the Actobotics 0.77" and 1.50" hub patterns for sensors, controllers, power, etc. 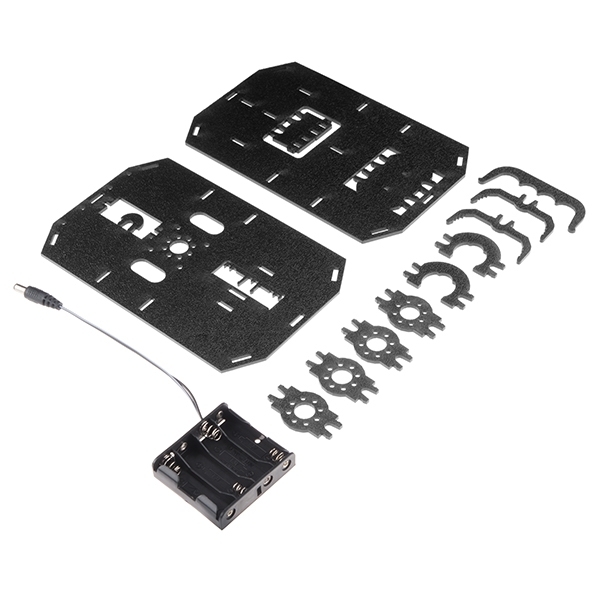 Simply snap each panel together and you’ll be able to attach your motors and favorite robotics controller. With the included “snap on” micro-controller mounts, you can attach an Arduino, Raspberry Pi, SparkFun RedBoard, or SparkFun RedBot Mainboard! This kit even has a mounting hole for a standard size servo as well as a 4xAA battery holder with barrel jack termination. Unlike its predecessor, the Shadow Chassis does not require you to use any additional tools. Everything snaps soundly into place! Note: The Shadow Chassis does require assembly. You can find detailed instructions in the Documents section below.